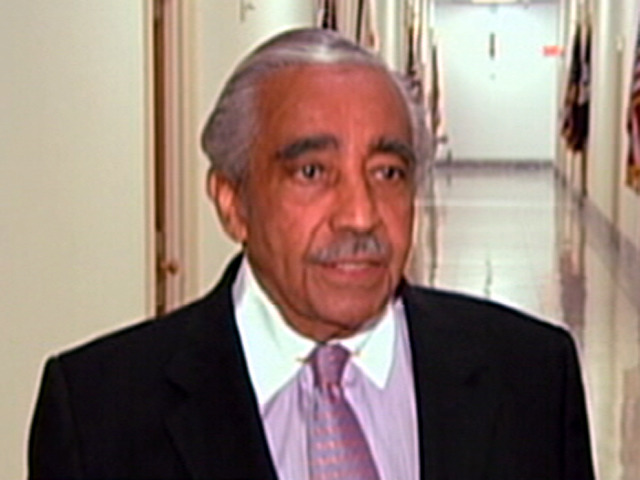 The House Ethics Committee brought 13 charges against Democratic Rep. Charlie Rangel of New York yesterday. For each violation, the Investigative Subcommittee scrutinizing Rangel determined there is "substantial reason to believe that a violation of the Code of Official Conduct, or of a law, rule, regulation, or other standard of conduct applicable to the performance of official duties or the discharge of official responsibilities by a Member, officer, or employee of the House of Representatives has occurred." Below is a summary, and excerpts, from the Statement of Alleged Violations. "Between 2005 and 2008 Respondent engaged in a pattern of soliciting for donations and other things of value on behalf of the Charles B. Rangel Center for Public Policy at the City College of New York." "The entities solicited were seeking official action from the House..."
"Respondent's conduct was not within the parameters established by the Standards Committee for solicitations on behalf of charitable organizations." A member is never supposed to give special favors or accept things that may make it look like it could sway the member in his official capacity. "...Respondent made numerous requests for support for the Rangel Center. Those requests were directed at entities and individuals whose interests could be affected by the legislative and oversight activities of Respondent in his capacity as a member of congress." "Contributions were made by persons with interests before the Ways and Means Committee..."
"Contributions to the Rangel Center provided a benefit to Respondent." "Respondent solicited contributions for the Rangel Center and the Rangel Center did receive contributions." "Respondent has a personal interest in the Rangel Center... will provide him with an office, and allows him to perpetuate his legacy, including the storing and archiving of his papers." "Contributions to the Rangel Center constituted indirect gifts attributable to Respondent." A member is not allowed to use the frank for any association, committee or organization. Only for official congressional duties. "Respondent used his frank for the benefit of a charitable organization and for solicitation of funds." "Respondent used his frank on materials that were not official business." Not allowed to use congressional staff to solicit contributions on House of Representatives property. "Respondent and his staff drafted solicitation letters and performed other work related to solicitations on property of the U.S. Representatives." Members' allowances include official mail costs/staff salaries. It is against the law to misuse federal funds. The members' handbook says the allowance can only be used for official purposes. "Respondent used House employees and other official House resources for work related to the Rangel center." "Those resources included the use of staff time, use of telephones and House email accounts, other office supplies, and of the frank. Those expenses were paid using the MRA." MRA is the Member's Representational Allowance. House rules do not allow anyone not under the direction and control of the House to use the words "Congress of the United States" or "House of Representatives" or "Official Business." "...Respondent sent letters related to the Rangel Center on letterhead bearing the words 'Congress of the United States' and 'House of Representatives.'" EIGA requires members to file full and complete Financial Disclosure statements on income, rent on property, gifts and other financial assets. If a statement has to be amended, the committee says it's in good faith if done by the end of the year and an explanation as to why. Fail on one of those, and the amendment is not considered in good faith. "Respondent engaged in a pattern of submitting Financial Disclosure statements that were incomplete and inaccurate." "Respondent failed to report numerous items required to be reported... from 1998 through 2008." "Respondent erroneously reported numerous required to be reported under the EIGA during the period 1998 through 2007." "Respondent's amendments...1998 through 2007 were not filed within the close of the year...Respondent's amendments were not timely." "Respondent's amendments...1998 through 2007 were filed after the committee...had established an investigative subcommittee with respect to Respondent's conduct, including his reporting of the Punta Cana villa on his Financial Disclosure Statements..."
"Respondent has failed to establish that the amendments to his Financial Disclosure statements for the calendar years 1998 through 2007 were submitted in good faith." "Respondent's conduct violated the EIGA." Here's another case where a person in government is not supposed to give special privileges to anyone or accept favors or benefits that could look like it might influence his actions as a Representative. "Respondent received a rent stabilized residential apartment at Lenox Terrace, which he used as office space for Rangel for Congress and National Leadership PAC." "Terms of the lease for the rent stabilized apartment provided that the apartment was to be used 'for living purposes only.'" "Respondent's acceptance of that rent-stabilized apartment for nonresidential purposes in contravention of the terms of the lease was a favor or benefit to him..."
"Respondent accepted the favor or benefit from Olnick under circumstances that might be construed by reasonable persons as influencing the performance of his governmental duties." Code of ethics for government service states that people in government must uphold the Constitution and laws of the United States. "Respondent's failure to report rental income related to Punta Cana on his Federal income tax returns violated the Internal Revenue Code." As already stated above, Rangel also violated Franking Regulations, House Office Building Commission's Regulations, Member's Congressional Handbook, Ethics in Government Act and the Internal Revenue Code and other violations. House Rules state that a Member "shall adhere to the spirit and the letter of the Rules of the House..."
Respondent's conduct violated this rule. House Rules state that a Member "shall behave at all times in a manner that shall reflect creditably on the House." -Misusing House resources- staff, phones, e-mail and franking for work related to the Rangel Center. -"Respondent's pattern of indifference or disregard for the laws, rules and regulations of the United States and the House of Representatives is a serious violation"
-"Respondent's actions and accumulation of actions reflected poorly on the institution of the House and, thereby, brought discredit to the House"